CERoPath project (ANR 07 BDIV 012) investigates the structures of murine rodent communities, their pathogens (microparasites) and their macroparasites (helminths and arthropods) in three South-East Asian countries, Cambodia, Lao P.D.R. and Thailand. South-East Asia is characterized by a high biodiversity (hotspot), threatened by rapid environmental changes under the pressure of the economic development and insertion into the global economy. 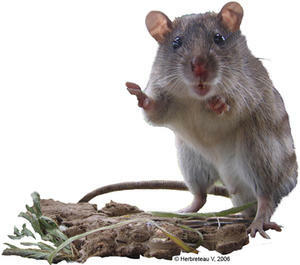 In South-East Asia, rodents are hosts and vectors of several agents causing diseases in humans (including leptospirosis, scrub typhus, viral hemorrhagic fevers and plague) and in livestock (trypanosomiasis).